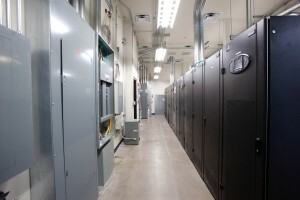 If you are a person or a company starting up a data center, whether it is starting from scratch or whether it has just grown in bits and pieces and is now being compiled into one area to make life easier for your IT person, or you, your power supply is going to be absolutely critical. It is much more complicated than you can probably imagine and making sure it is designed well is going to be much more involved than just plugging something in. Part of the process that you will need to undergo as you start developing a plan for powering your data center is load bank testing. This is, to simplify the concept, simply allowing for there to be a dry run on your power needs, without any actual power being used, to make sure that your theoretical plan for how your power bank is designed actually can handle the load. This also might include power produced by a generator if you will have a generator as a back-up power source in case of a blackout. This is just not something you can do yourself with a five-minute effort as you stand in your data center right before you are ready to put your computers on line. In fact, load bank testing is quite complex and there are actual companies out there who offer the service of coming in and doing your load bank testing for you. If you want to make sure that your load testing is done correctly, you might be wise to hire such a company which can offer you expertise and assistance. Of course, the process will be done differently depending on the company you hire and your needs so it is hard to predict exactly how the tests would be conducted, but you would be wise to ask exactly what they will do for you, how they will analyze the results, and what they will do if your system shows some problems. Will the company be twisting your arm to buy their products? Will they simply help you know what you need to buy to make improvements but then not give you any more information? Neither of those might be the most useful approach, but of course you will need to decide what you want to have happen during your testing process and afterward. It might also be wise to make sure that all of the people who will be dealing with your power system, or those who will train those who will be dealing with your power system, are present for the analysis of the system so that they can understand how the testing has worked and what changes need to be made and why. This would be something you might certainly discuss with the people you bring in to do the testing as to how the data will be presented and analyzed and who should be present for that. After all, your power needs will undoubtedly not remain static for the rest of the existence of your data center. In fact, you might need to institute a program where the testing is done on a regular basis so that any potential breakdowns can be caught early. Make sure that you do your data center load bank testing correctly, interpreted correctly, and corrected properly, so that you and your data are protected for years to come. This entry was posted in computer room construction, Computer Room Design, Data Center Build, Data Center Construction, Data Center Design and tagged computer room build, computer room construction, computer room design, data center build, Data Center Construction, scottsdale data center design. Bookmark the permalink.